A new modular robotics kit has just hit crowdfunding platform Indiegogo, but this one comes with an added twist - it's completely controlled by hand gestures so no need for a clunky analogue transmitter or awkward touchscreen controls. Rather than relying solely a motion-capture camera, the Ziro robotic rover instead uses a special glove. 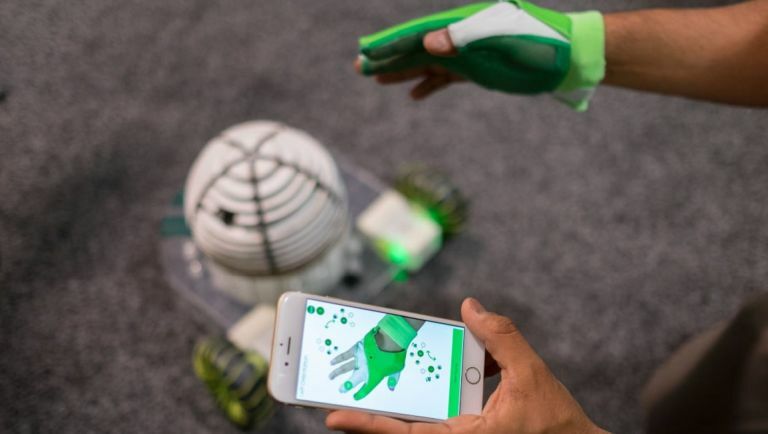 This Smart Glove uses a series of flex bend sensors and a five axis inertial measurement unit in conjunction with a bespoke app to track the movement of your hand and fingers. By using the camera on your smartphone, you can assign different commands to individual movements. As we just mentioned, the Ziro is a modular concept so you can build just about anything. Your creations aren't bound purely to the modules themselves - you can use anything from cardboard to 3D-printed materials to construct your creation. Once you've made your beast, you just need to animate it with gestures. Fire up the app, choose your animations and boom - you're ready to control your new robo pal. The project has already surpassed its conservation $30,000 crowdfunding goal with a full month left on the campaign and you can get on board with a Starter Kit for $149 (£103) or a Pro Kit at a reduced price of $199 (£138) - saving you $80/£55.